Teaching Experience: Saoirse is a future Trainee Solicitor at Jones Day and is currently working as a Paralegal at Linklaters. She graduated from Trinity College Dublin with a First Class Honours in Law and spent a year studying Law at the University of Sydney which is ranked #11 in the world. She placed in the top 3% of her year in Corporations law, Private International law/ Conflicts of law and IP in the University of Sydney. 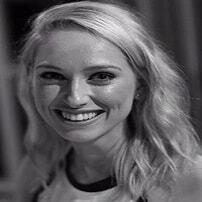 She has also worked in a number of leading law firms in Ireland, Australia and London. She recently completed her Fast Track MA (LPC with Business) at BPP University with an average of 81% in the core modules, 76% in the electives and 95% in the skills modules (overall Distinction). She enjoys teaching the LPC subjects along with Company law, IP, English land law and Conflicts of law for an LL.B. Her aim is to make the complex simple and provide focused exam technique. She is also keen to mentor and give advice to students through the training contract application process.